Blimey! 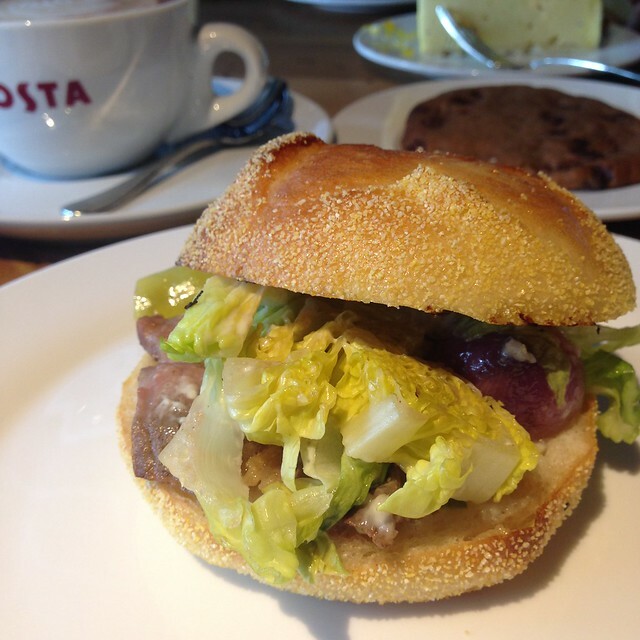 UK's #1 Costa Coffee is now in the Manila! 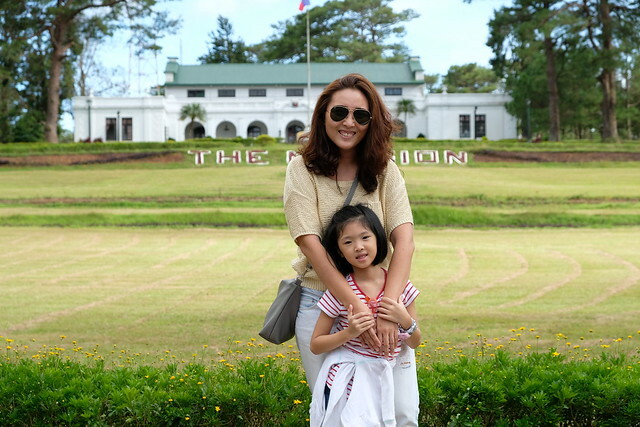 The British have invaded Manila! British coffee that is. Heehee! 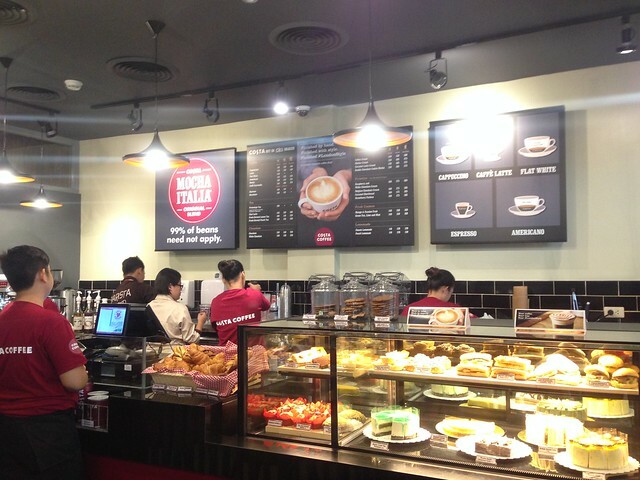 Costa Coffee, UK's #1 coffee chain is now in Manila! If you think the British only drink tea, you're wrong! It is a common misconception though. 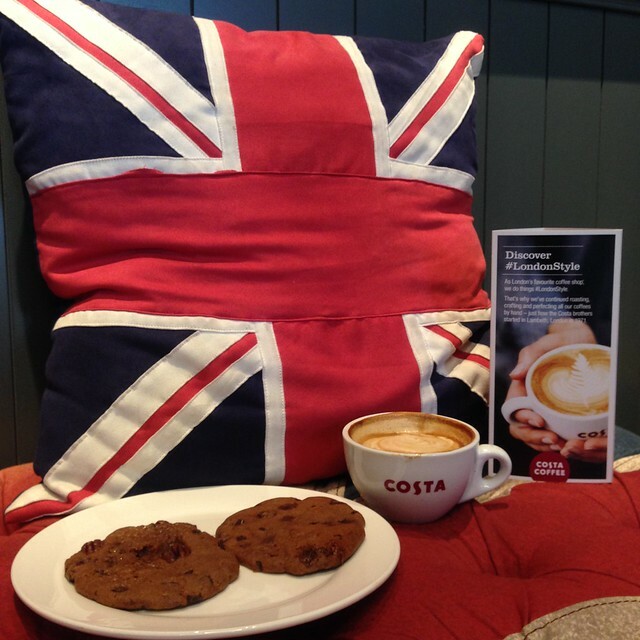 Costa Coffee aims to tell the world that the Brits love their coffee! 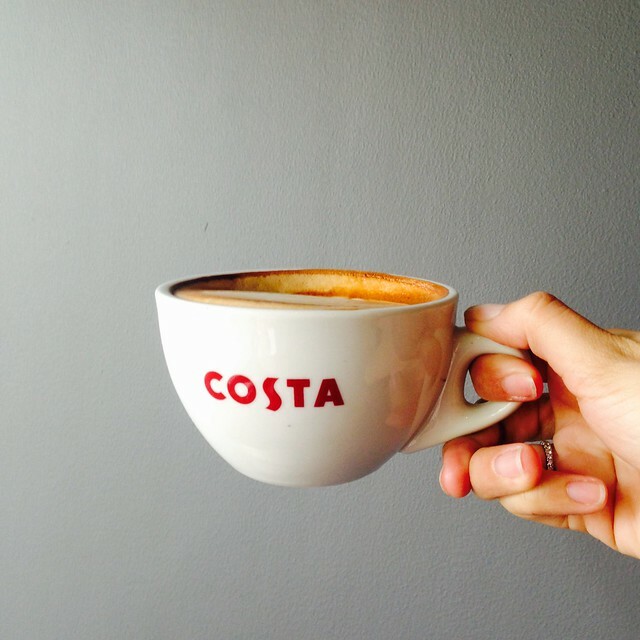 My hot cup of Costa Coffee's Flat White. 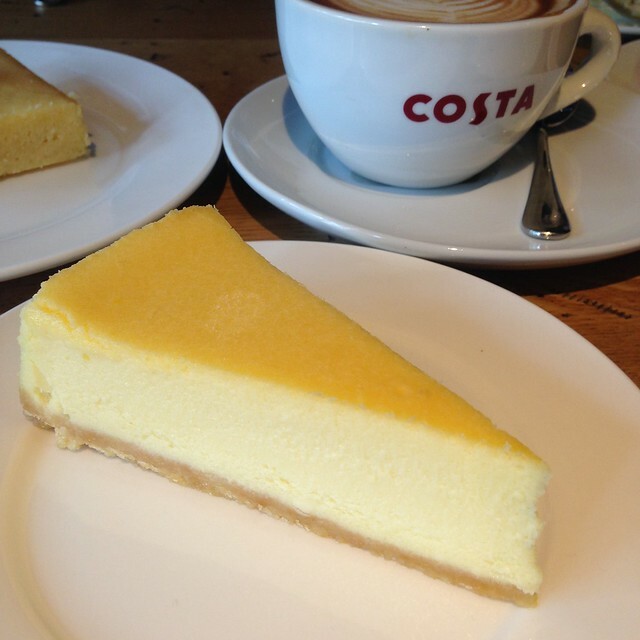 Costa Coffee was founded in 1971 by the Costa brothers, Bruno and Sergio. Their love for coffee led them to sell their product to local caterers and soon after, to open their very first café. 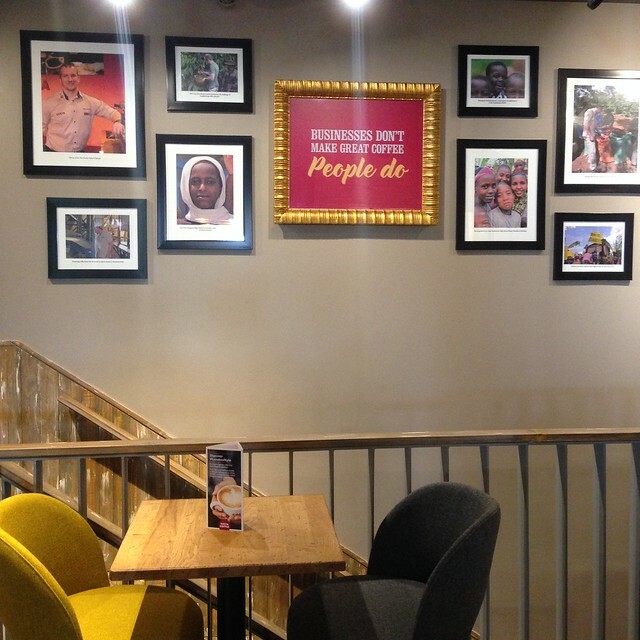 The Costa brothers’ dream was to bring irresistible coffee and community spirit to the people of London and today to be the world's favorite coffee shop brand. 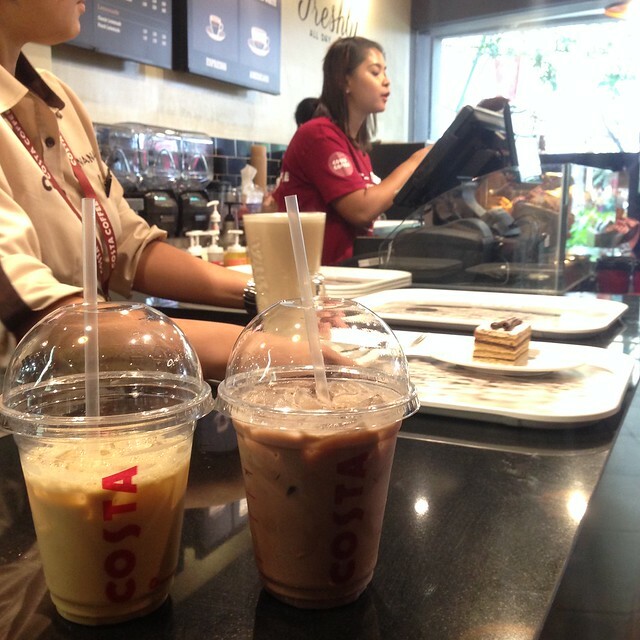 Costa Coffee opened its first branch in Eastwood Citywalk 1 last June 29 and a week before that, I was one of the firsts who were able to try their famous brews and tasty food. 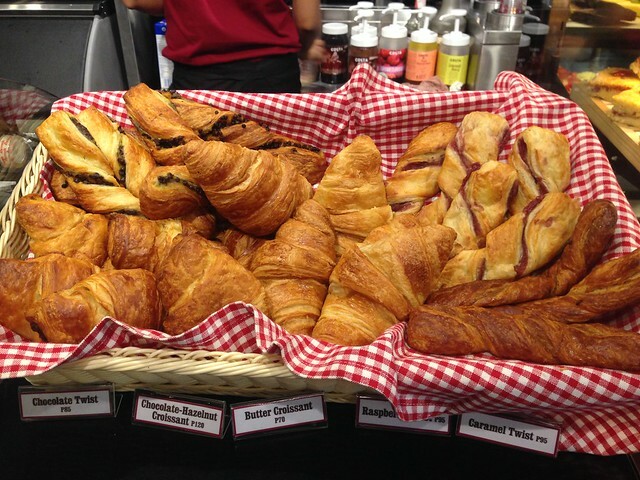 Cakes, muffins, cupcakes, cheesecakes, sandwiches and freshly baked croissants. Sweet or salty? Take your pick! 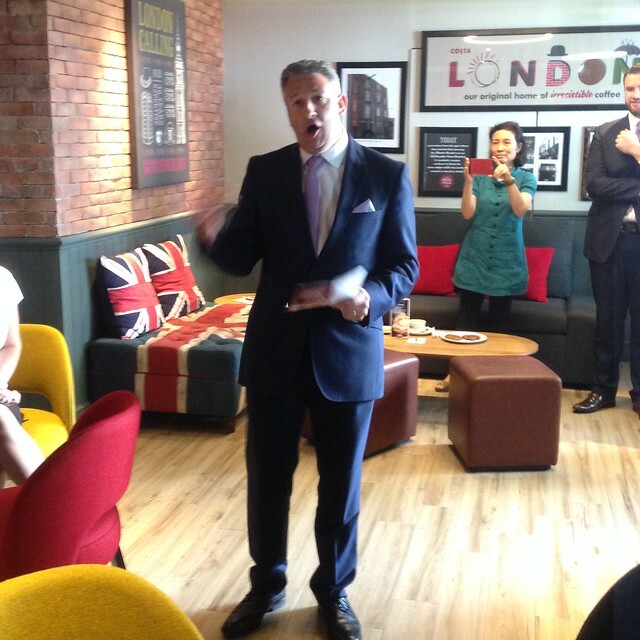 This is Judd Williams, Costa Coffee Head of International Franchise, telling us more about Costa Coffee and that a lot of Filipinos work at Costa Coffee cafes in the Middle East. 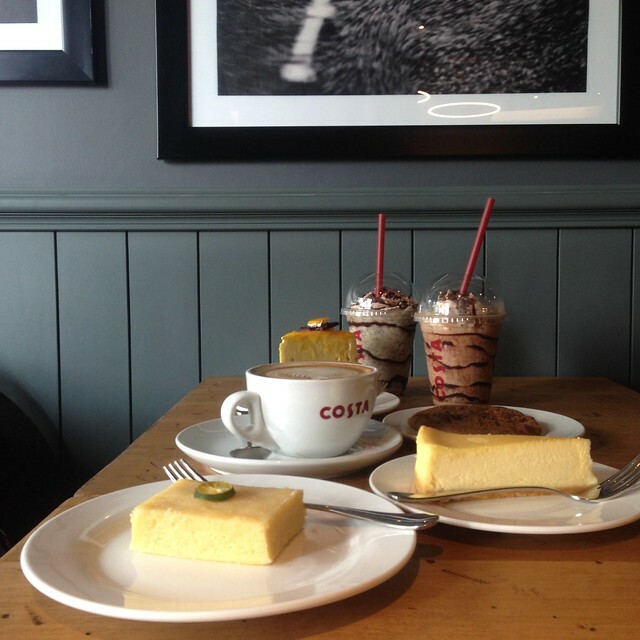 I was with Didi and we couldn't decide which ones to get so we ordered what we both liked so we could share and try everything (well, almost everything heehee!). First batch of Costa goodness! My date busy with her games. 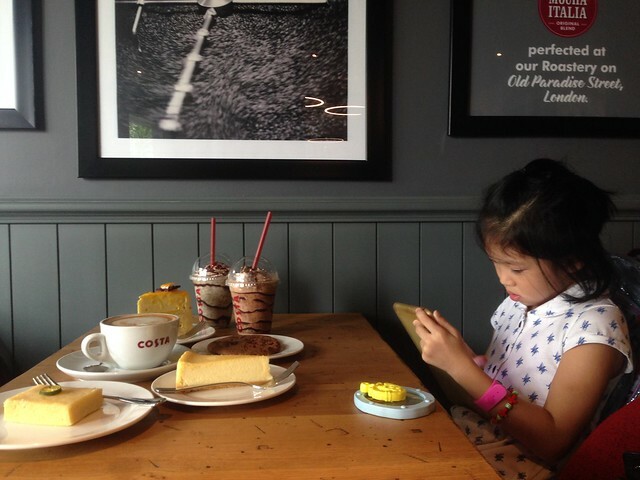 Didi enjoying her Frostino, which is specially crafter for the sweet-loving Filipinos! I had the Flat White which was so good as is. No sugar needed! The Costa Brothers created their own unique blend of coffee, the Mocha Italia, a smooth, round but rich tastes, which is a combination of Arabica and Robusta coffee beans. 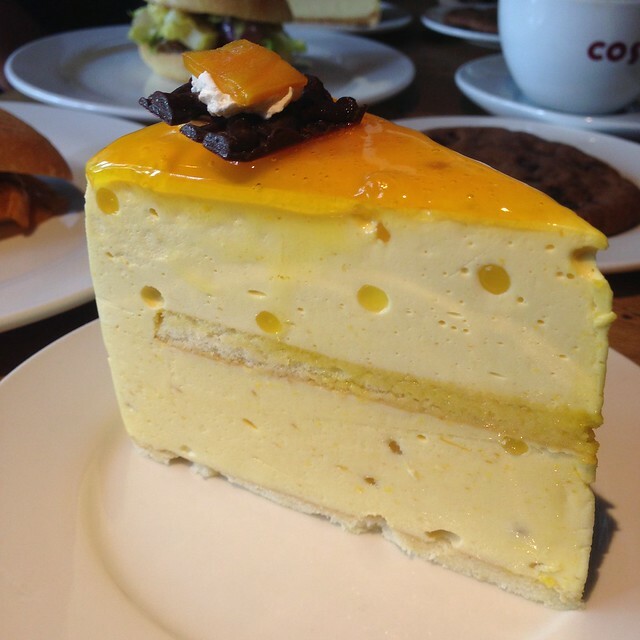 London Cheesecake which Y loved! It's creamy and not so sweet. 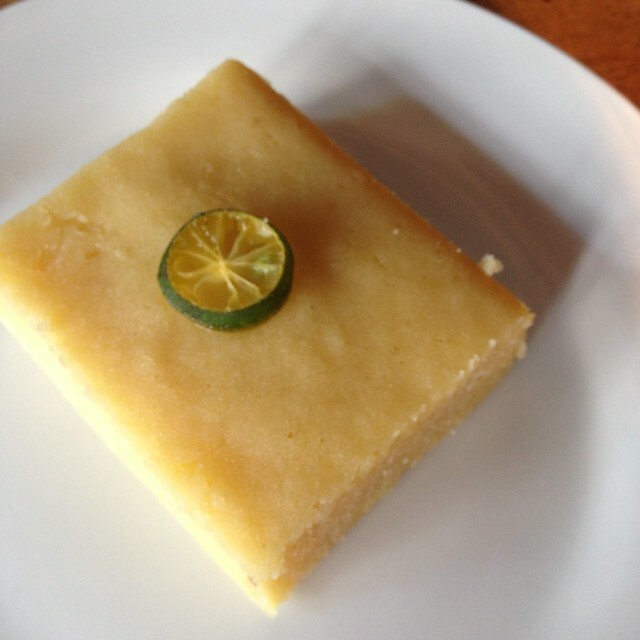 My kind of cheesecake! 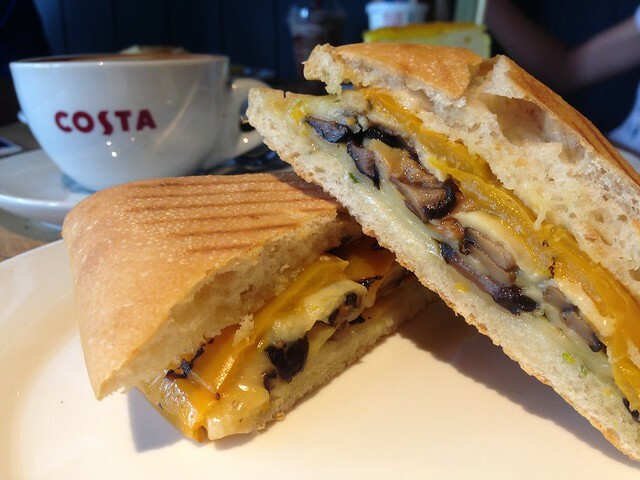 A must try is the Swiss Cheese Sandwich! It's so good I think I can eat two! Tried their Iced Flat White too while Y had the Iced Chocolate. 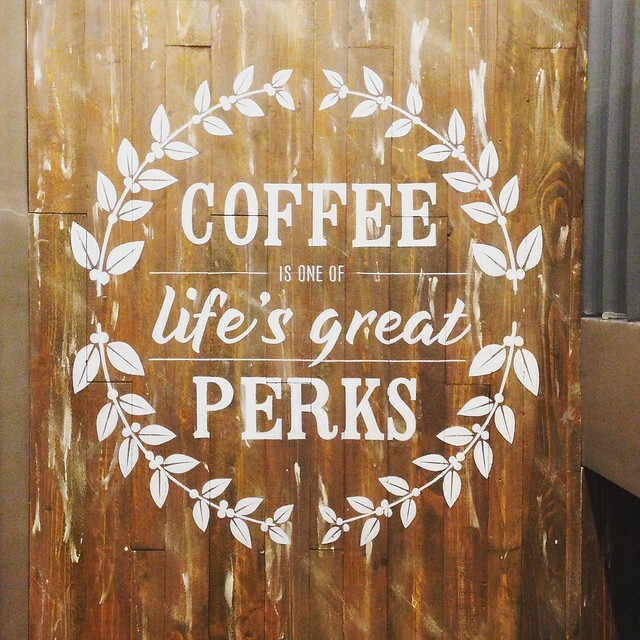 Every cup of coffee served is handmade by only the best baristas, rigoriously trained in various Costa Coffee Academies around the world. 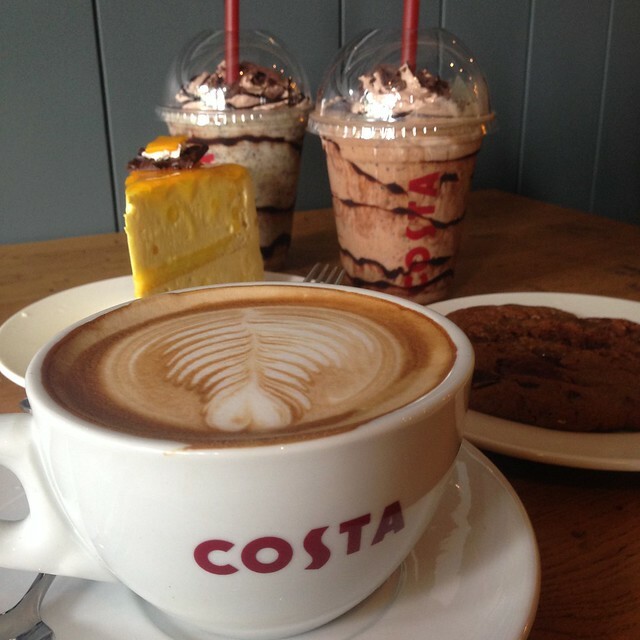 Costa Coffee now has over 1,968 coffee shops in the UK and more than 1,247 coffee shops in 30 overseas markets. 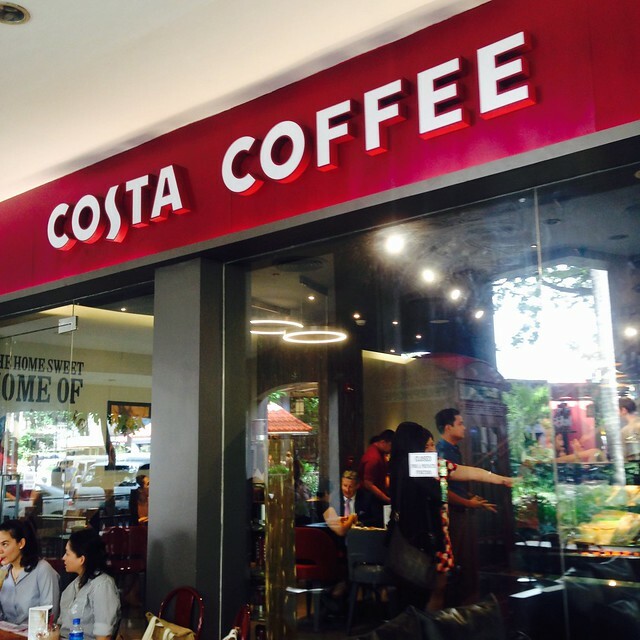 Costa Coffee will be opening next at Robinson's Ermita this month! 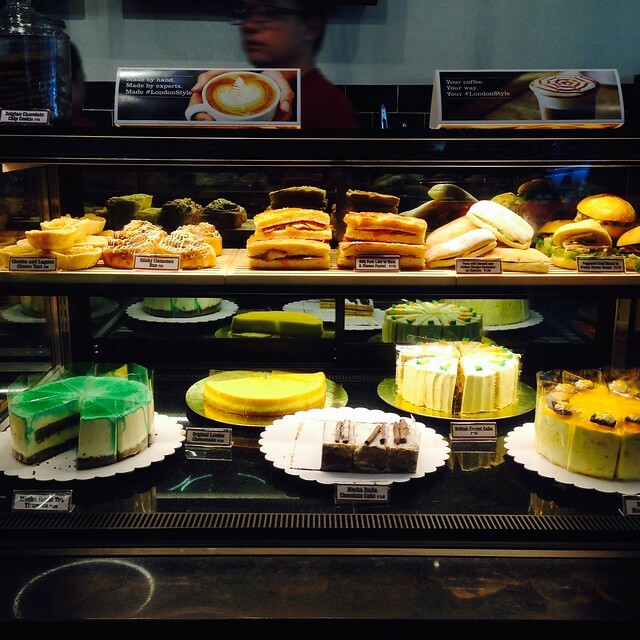 It will also open branches at Tera Towers, Bonifacio Global City, and Robinson's Antipolo this 2015. And if you want to taste a cup of free Frostino Mocha Cream, just go to each store opening (from 2-4PM) and order with a British accent! 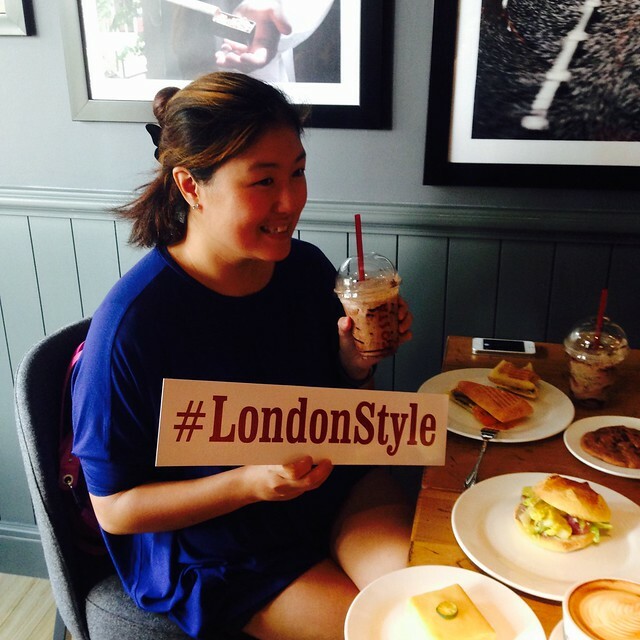 All of the Costa Coffee shops will have the same look and feel of Costa Coffee shops in London! 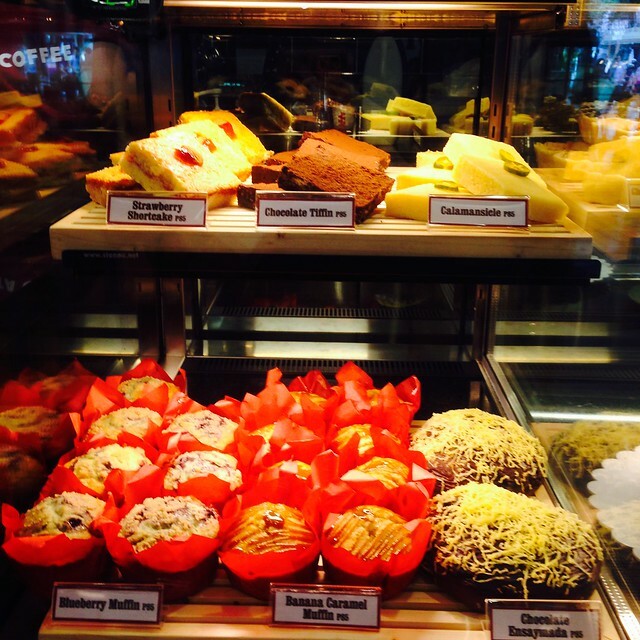 See you at Costa Coffee in Robinson's Place Ermita soon! 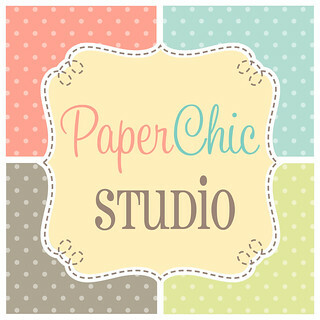 So happy it's so near me!